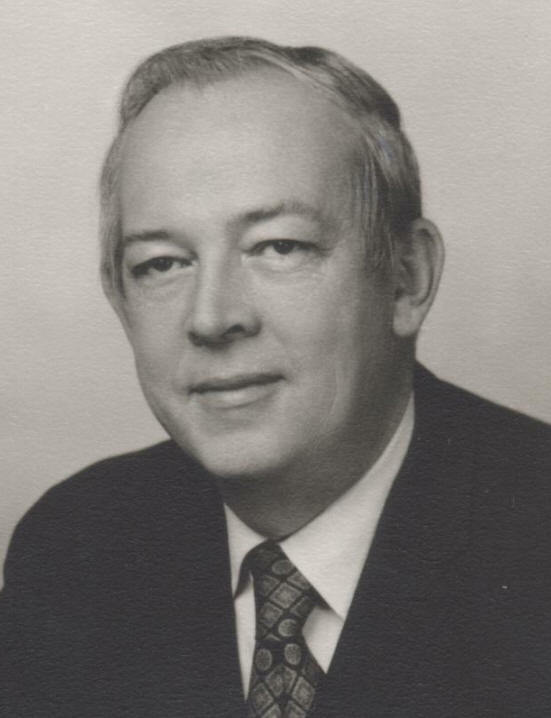 John Holloway was a Raleigh native who graduated from the School of Architecture and Engineering at NCSU in the 1940's. He retired in 1986. Reeves was born in Brunswick GA. His family moved to Raleigh and he graduated from the NCSU Department of Architectural Engineering in 1941. During WWII, Reeves was in the Army as a Captain and earned a Bronze Star, Silver Star, and Purple Heart for combat in the Pacific. He returned to Raleigh and worked for Cooper Haskins before starting his own practice. 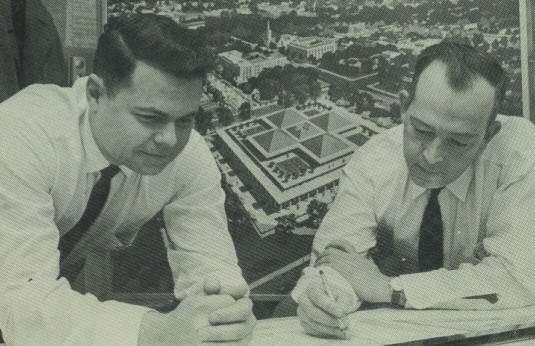 Ralph Reeves, William Moore Weber, and John Holloway formed what would become one of the state's largest design firms in Raleigh in 1948. 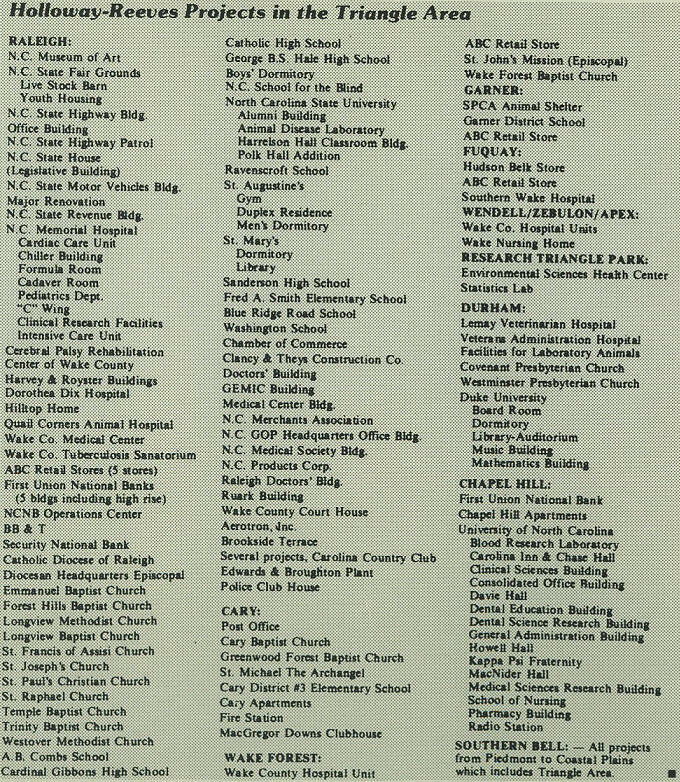 They designed many of Raleigh's public buildings, from schools to churches to government. Holloway and Reeves split with Weber (who kept Holloway's brother, Carey) to form the new partnership Holloway and Reeves. Carey Holloway later re-joined his brother's firm. 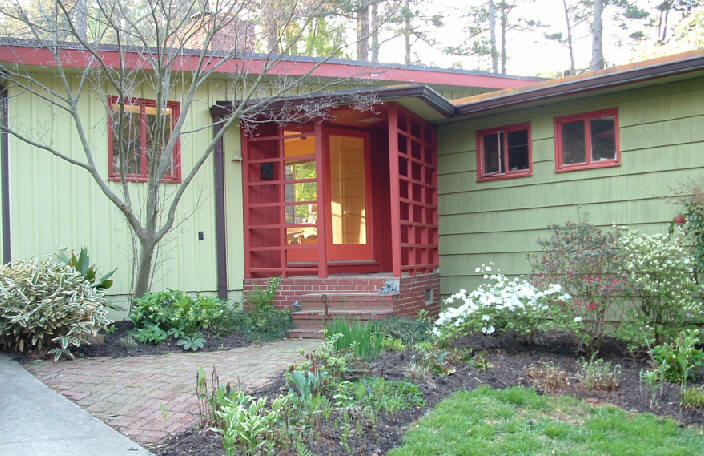 1948 - The Lowell Nielsen House, 3208 Darien Drive, Raleigh. Sold to Keith and Janet Little in 1985. Sold to James Kelly in 1986. Sold to Mark Kelly in 1992. At this point it still had the original, working floor heating. The house was originally 1300 square feet and was expanded to 2200 square feet; four bedrooms and three bathrooms. Photos by Mark Kelly. Bottom photo by Leilani Carter. Principal design attributed to John Holloway. Sold in September 2015 to Bold Construction Inc., which destroyed it the following month. 1950 - The Ernest Ball Residence, 1220 Duplin Road, Raleigh, built by Clancy Construction (later Clancy and Theys). 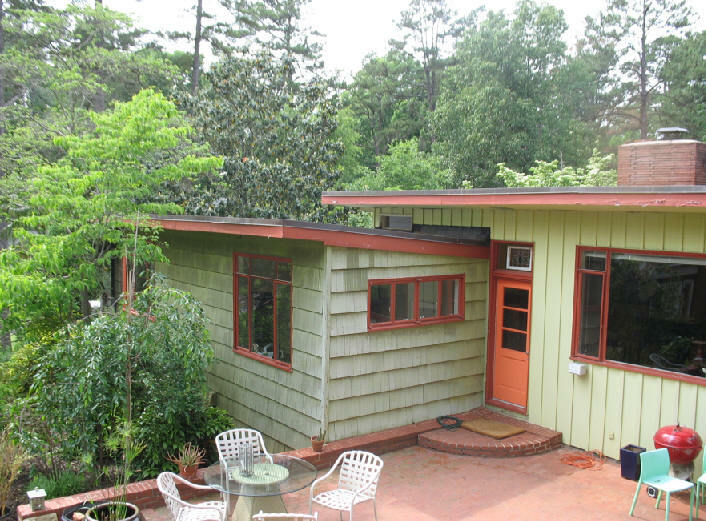 About 1400 square feet, three bedrooms and a bath and a half. Remodeled in 1970. 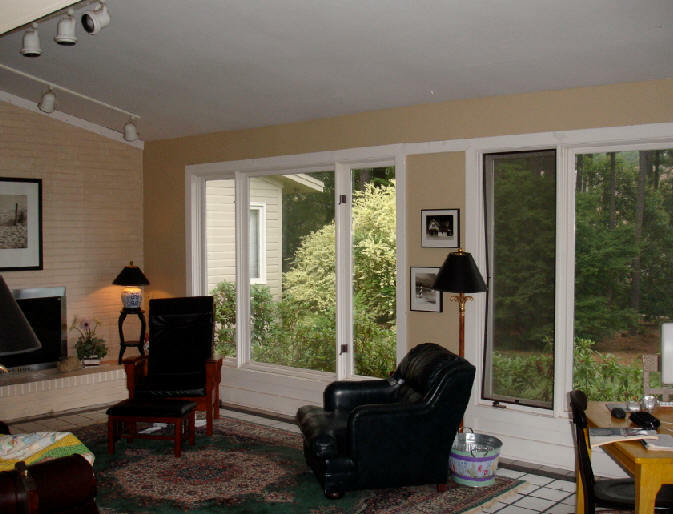 The footprint is in the "shape" of a L and has casement windows, some as large as 6' x 5. Sold to Monroe Gardner Jr. in 1969. Sold to William and Karen Forteno in 1977. Sold to Ronald Procner in 1984. 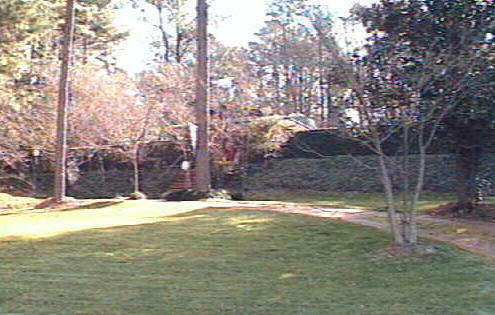 Sold in 1997 to Kevin S. Kane who took these photos. Deeded 2009 to Kevin S. Kane and Thomas J. Skolnicki. Principal design attributed to Ralph Reeves. 1950 - The Julie and Frances (Mac) McVay Residence, 3119 Darien, Raleigh. Principal design attributed to Ralph Reeves. Sold to William anfd Betsy Hood in 1959. 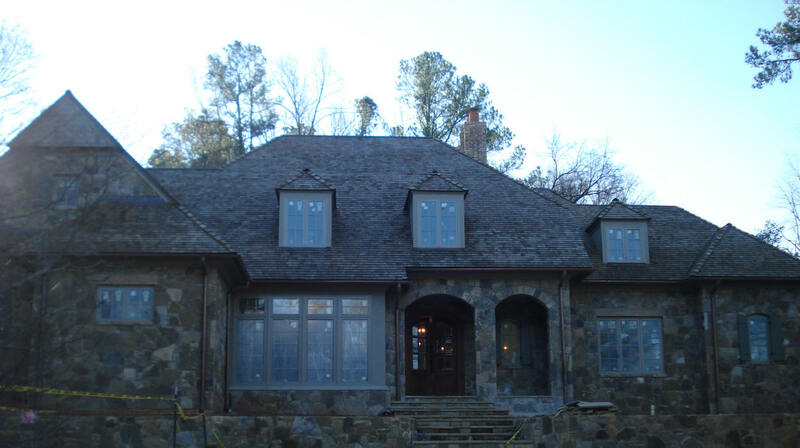 The McVay's moved to a new house designed by Brian Shawcroft. Sold to Michael and Ann Gardner in 2000. 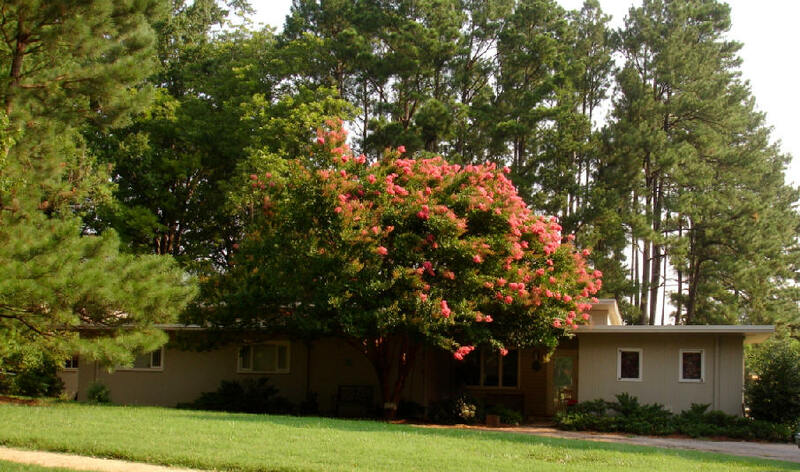 Sold to Ann Bryan Huffman in 2002. Destroyed in 2005 and replaced by the house in the lower photo. 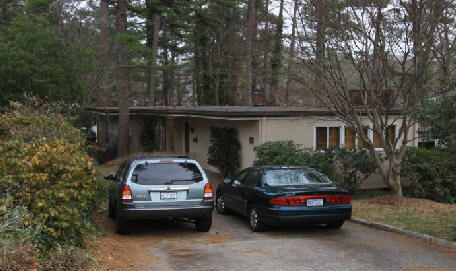 1950 - The Robert and Kathleen Shoffner Residence, 3101 Darien, Raleigh. Sold to architect Walter Baermann in 1964. Sold to Jack and Astor Starck in 1968. Renovation in 1985. As of 2011 still owned by the Starcks. 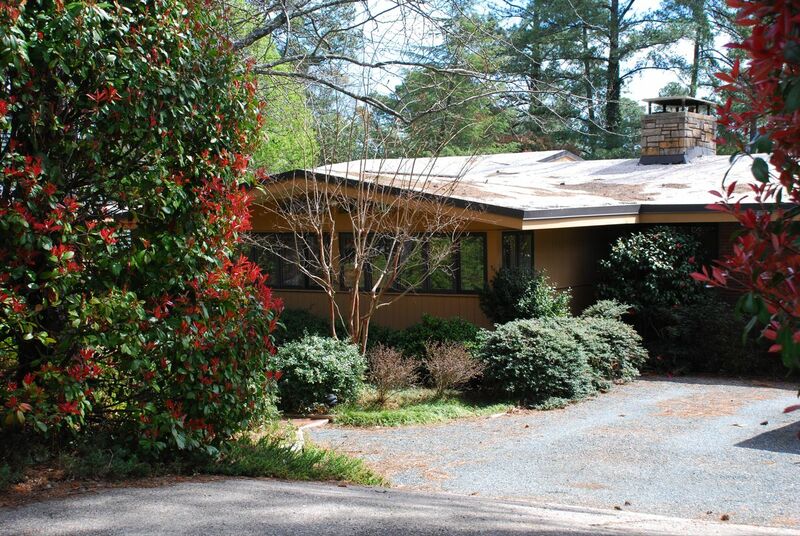 1951 - The Samuel R. Leager House, 1306 Mayfair Road, Raleigh. Designed by Ralph Reeves. 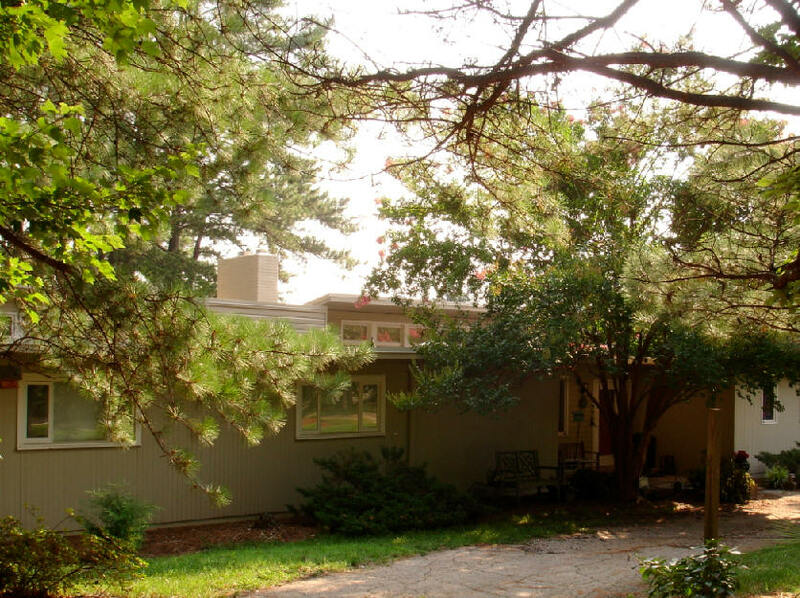 Sold in 1972 to Russell G. and Diane L. Walker Jr. Sold in 1973 to Gerald and Barbara Carlson. Remodeled 1980. Still owned by the Carlson's as of 2014. 1952 - The Ralph B. and Frances Reeves, Jr. Residence, 2105 Buckingham, Raleigh. 1200 square feet. Principal design attributed to Ralph Reeves. Sold to Fred and Patricia Benton in 1956. 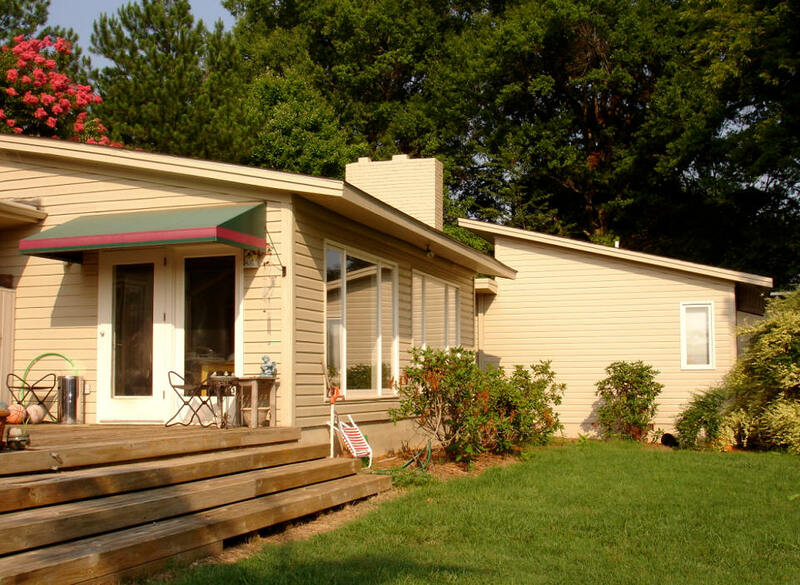 Sold to William and Patricia Benton Fitzgerald. 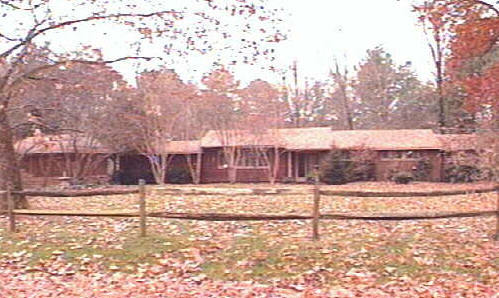 Sold in 1989 to Fred Benton, Jr. Sold in 2011 to Philip and Dana Hilldale who destroyed it later that year. 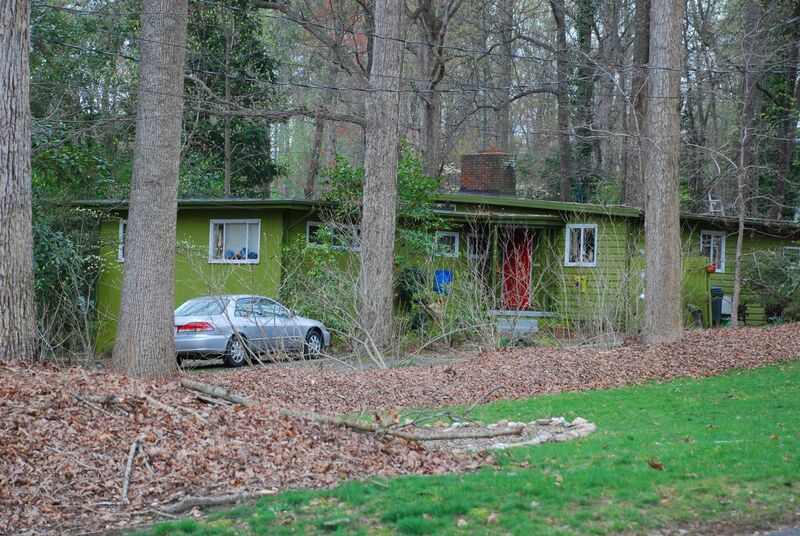 1952 - The D. A. and Alda T. Dickens House, 1408 Dellwood Drive, Raleigh. Sold in 1957 to William and Elsie Bolton. Sold in 1976 to the Bolton Corporation, who sold it the same year to Stephanie Rogister. Like the Nielsen House above, this features radiant floor heating which amazingly still works. As of 2011 still owned by Rogister. Photo by Leilani Carter. Principal design attributed to John Holloway. 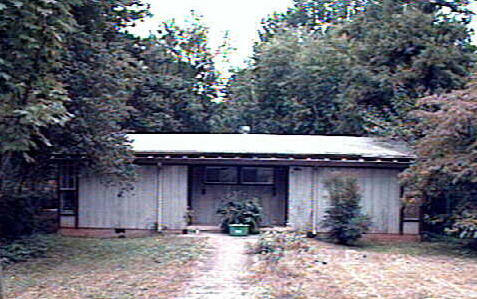 1958 - The John and Nancy Rose Poe Holloway House #1, 2921 Claremont Drive, Raleigh. Bought by Donnell Cobb in 1971. Sold to Burks and Allie Crumpler in 1976. Sold to Richard Kane in 1981. Sold in 1986 to Carolyn Elliott, still owner as of 2011. Photo by Leilani Carter. Principal design attributed to John Holloway. 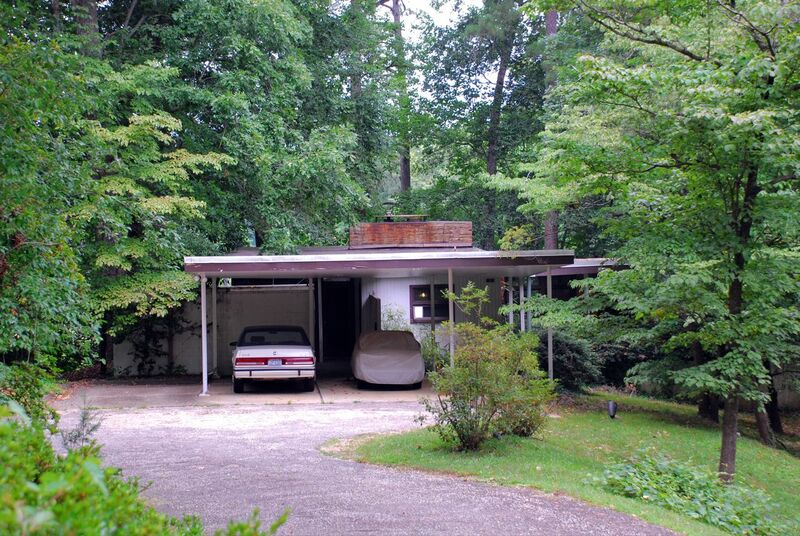 1960 - The Harris House, 2815 Lakeview Drive, Raleigh. As of 2011 still owned by the Harris family. Photo by Leilani Carter. 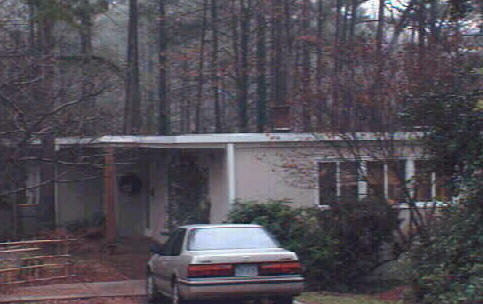 1965 - John Holloway's second personal residence was at 531 Lakestone Drive, Raleigh. 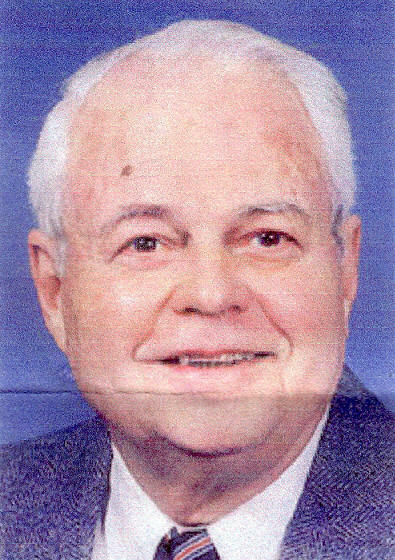 His widow, Nancy Rose Poe Holloway, died in 2006. The house (top photo) was willed to their caretakers. They sold it in January 2008 to Ron and Brenda Gibson who destroyed it for a new home (bottom photo). Principal design attributed to John Holloway. According to Douglas Brinkley, who worked for Holloway and Reeves from 1974-1986, the original floor plan was in the shape of a plus sign with a central interior court including a fish pond. There was a skylight over the pool and at one time had a pyramid shaped planted suspended under the skylight over the pool. John later covered up the pool because their family bulldog fell in. The interior public areas were reminiscent of the NC State Legislature Building his firm designed. 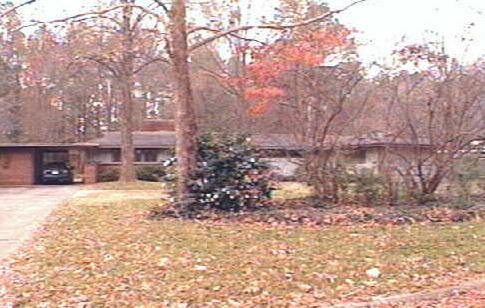 1972 - The May M. and J. C. Allison House, 123 Hillcrest Road, Raleigh. Sold in 1984 to Charles A. Newcomb. 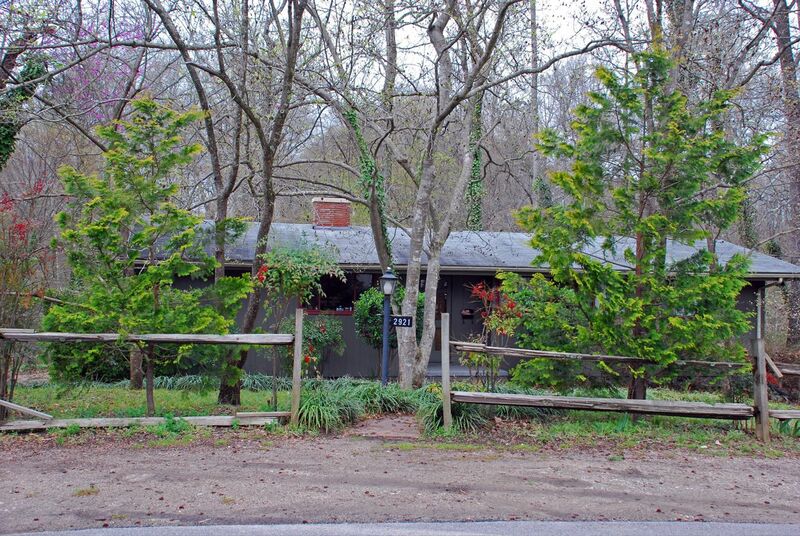 Sold in 2001 to William J. Alphin Jr. Sold in 2012 to John P. and Virginia B. Sall. Designed by Ralph Reeves. 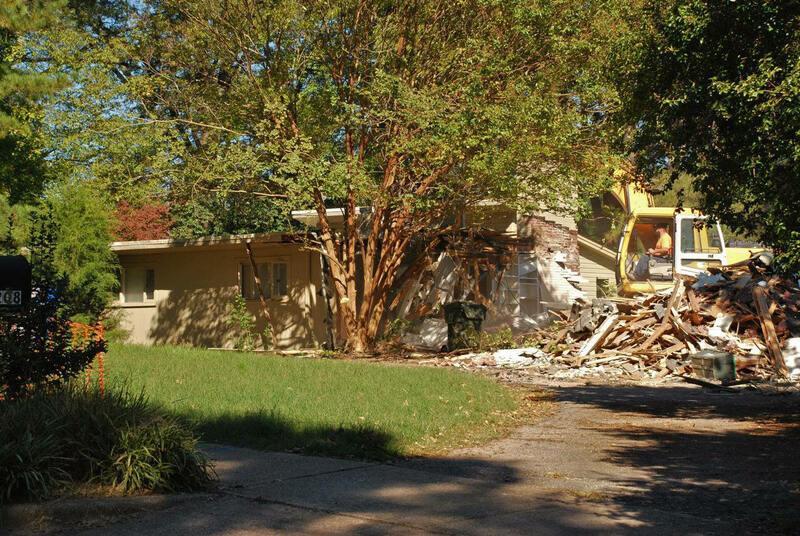 Destroyed in 2013 for a new Modernist house designed and built by Will Alphin. For years, Bernie Reeves, son of Ralph Reeves, published North Carolina Architecture, edited by Kim Weiss. 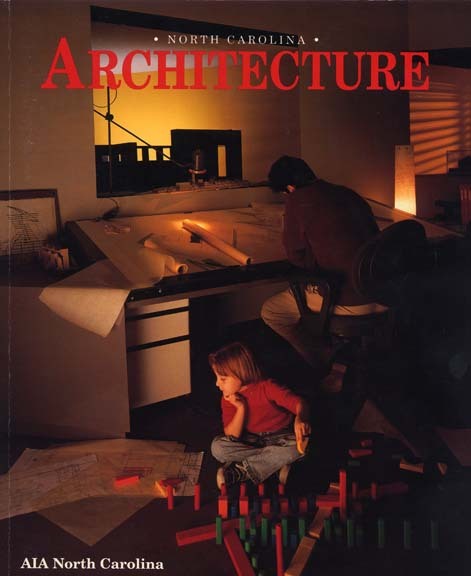 Pictured in this sample cover are architect Andrew Iatritis and Kim Weiss' daughter Emily, shot in architect Norma Burns' former offices on Hargett Street in Raleigh. Photo by Allen Weiss. Sources include: Mark Kelly, News and Observer Obituary, M. Ruth Little's The Development of Modernism in Raleigh 1945-1965, Stephanie Rogister, niece Maryanne Holloway, Kim Weiss, son Bernie Reeves, Kevin Kane, Spectator Magazine obituary of Ralph Reeves.